Discover the energizing colour combinations that will bring vitality to your home with Creme Brulee. Home can be a space that motivates and inspires us in every aspect of our lives and we recognize an increasing desire to create a home that is full of fun and energy. 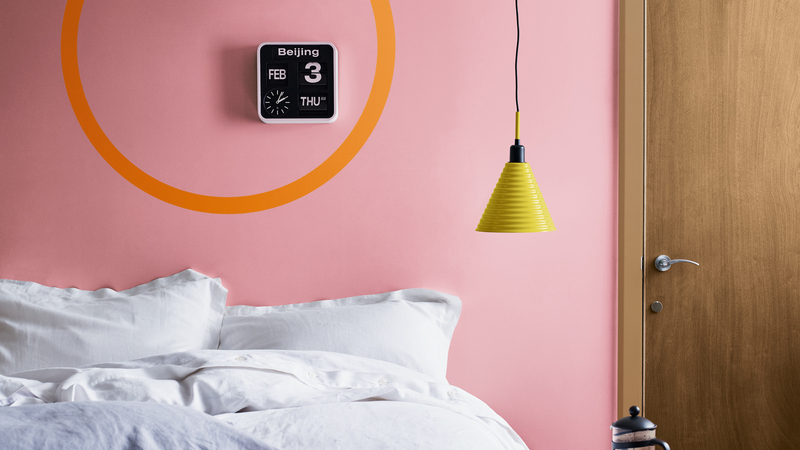 So we’ve created a palette that is positive, playful and young at heart. 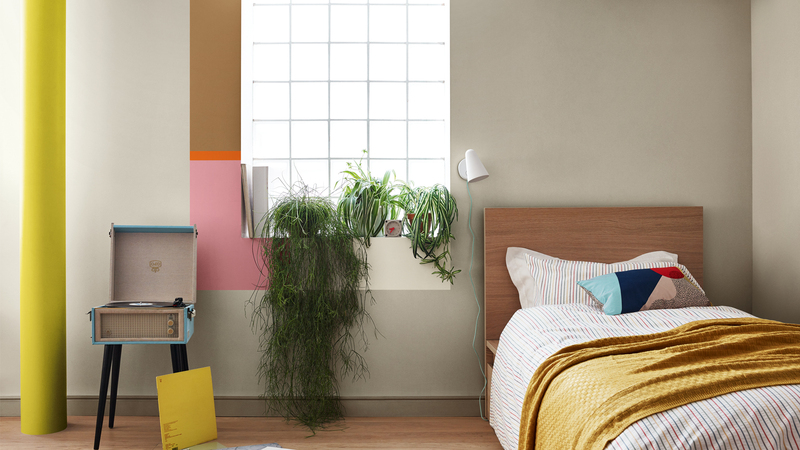 Here we’ll show you show you can lift your spirits by using these paint colours in your own home. 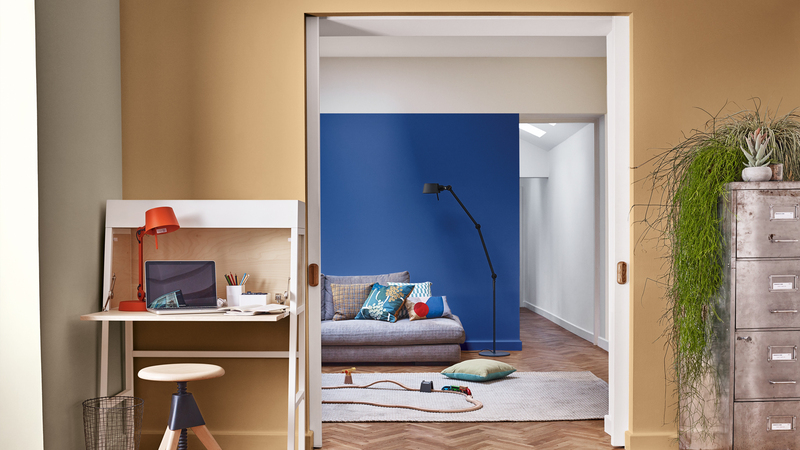 In the image above, a vibrant block of cobalt blue highlights the sofa area in the living room, while the more grounded Creme Brulee , Dulux Colour of the Year 2019, brings a down-to-earth quality to the adjoining study area. Low-key practical furniture and lush indoor plants complete the relaxed yet upbeat look. 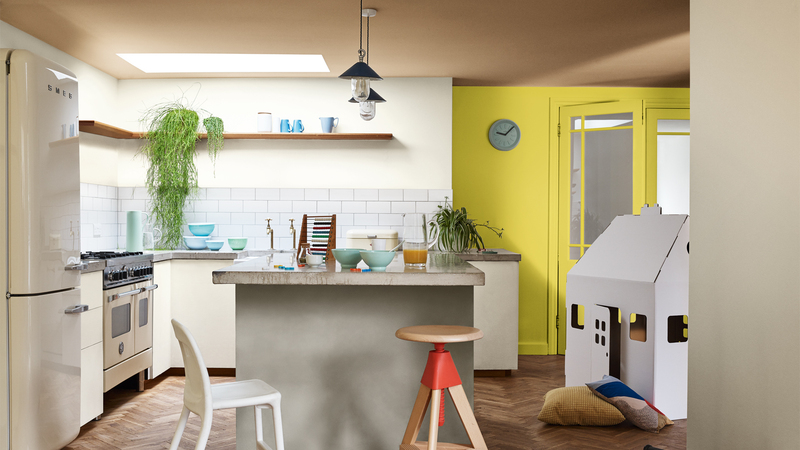 In this playful kitchen, a palette of muted neutrals is enlivened by a wall painted in bold zesty yellow. The Creme Brulee colour on the ceiling brings warmth and a down-to-earth feel to the scheme. Unfussy furniture, functional lighting and pops of bright colour all help to create a relaxed and fun place to be. Watch our step-by-step guide on how to paint a circle outline How to paint a circle outline. In this cheerful room for an older child, bright paint shades have been used in irregular abstract blocks and stripes to create a refreshing and unexpected look. The vibrant colour are confined to small areas and used against a backdrop of pale neutrals and Creme Brulee to keep the look playful but peaceful.